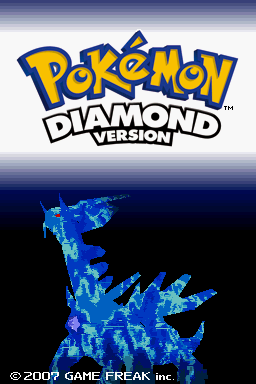 Pokemon Diamond and Pearl mark the beginning of the newest generation of Pokemon games on the Nintendo DS. Utilizing both screens and the touch feature, the interface has become more intuitive. The gameworld to explore is massive, and there are numerous new ways to capture Pokemon. To see the world of Sinnoh for yourself, check out our Interactive Sinnoh World Map. » Alternate Forms - Some Pokemon change forms for various reasons. » Attacks Reworked - Some Special-Type attacks that were of a Physical nature are now Physical-Type, and vice-versa. » Gender Differences - There are slight differences between the physical appearance of the genders of some Pokemon. » TMs/HMs - There are now 100 total Machines. » The Underground - A whole new world to explore beneath the overworld. 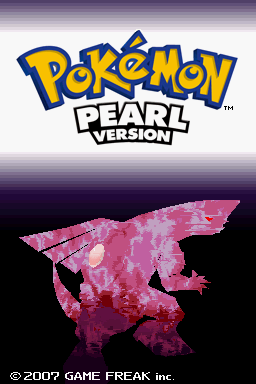 » New Capture Methods - Swarms, Pal Park, the Great Marsh, the Poke Radar; there's all sorts of new ways to capture. » Pokétch - The Pokemon Watch, capable of running all sorts of Applications. » The return of time of day.